FBI's Cohen Raid Also Sought Info On National Enquirer - Joe.My.God. Rod J. Rosenstein, the veteran Republican prosecutor handpicked by Mr. Trump to serve as deputy attorney general, personally signed off on Monday’s F.B.I. 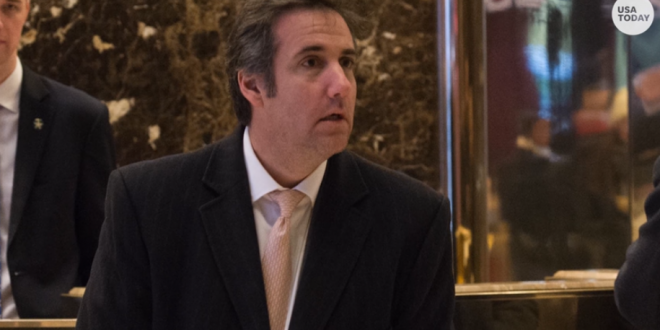 decision to raid the office of Mr. Cohen, Mr. Trump’s personal attorney and longtime confidant, several government officials said. The early-morning searches enraged Mr. Trump, associates said, setting off an angry public tirade Monday evening that continued in private at the White House as the president fumed about whether he should fire Mr. Rosenstein. You’ll want to read the full article on this one. VIDEO: This CNN report on David Pecker is interesting.